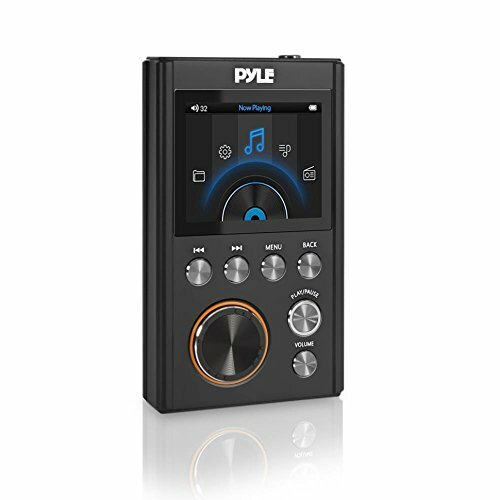 The PYLE PDAP18BK.5 is a digital music player that seniors will love because it has a retro look and feel, even being marketed as a ‘next generation walkman’. 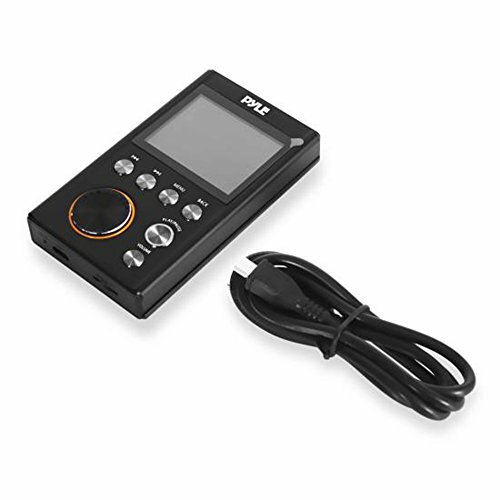 This hassle-free MP3 player has large and easy to use buttons that will give tactile feedback. Many elderly people vastly prefer this to ‘touch sensitive’ devices with a smooth surface. I also like that this player has a little more “heft” to it. It doesn’t feel delicate like many MP3 players I have reviewed. It is a bit thicker and you are really able to feel it in your hands. This is important for seniors with arthritis or poor dexterity in their fingers and hands. The LCD color screen is crystal clear, but at just 2in diagonally some users may feel that this is a little small. The good news is that it is easy to learn how to use the device, so you don’t have to pay too much attention to the screen once you are used to it. 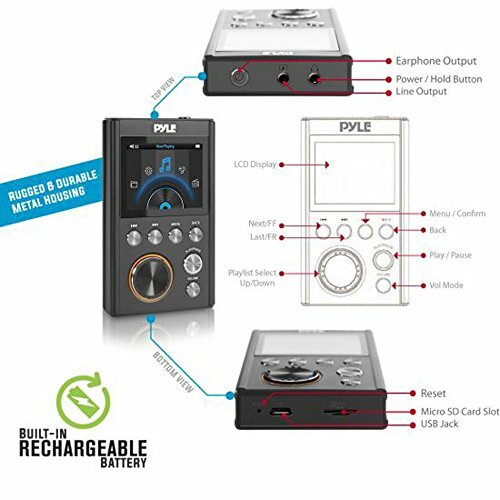 You can charge the player via USB or the included wall charger, and the battery should last for about 30 hours of playback. Loading songs is simple, and songs are sorted by artist or by album. Most popular audio formats are supported, and the player can even be used as an external drive for some other systems. 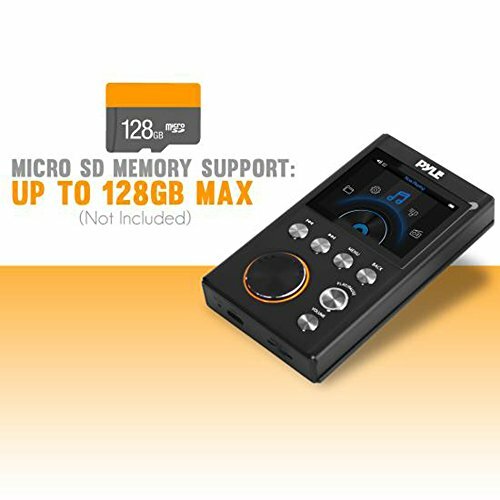 It supports wired headphones only, not Bluetooth ones, however the lack of Bluetooth support is likely a non-issue for most users. Wireless headphones add extra hassle, meaning more devices to lose, and more things to have to charge. 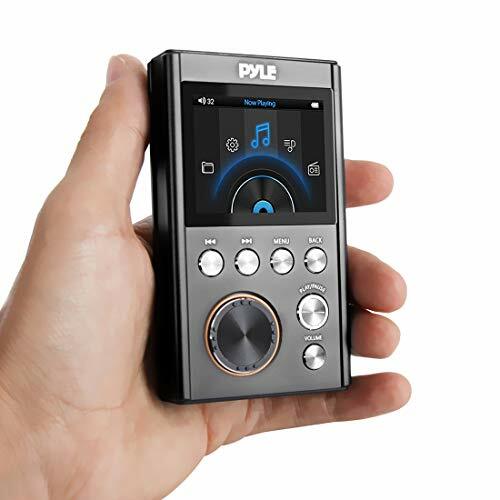 A durable MP3 player that has some heft to it and is easy to hold onto. The buttons are large and tactile and the interface is easy to use. Button print is a bit small though.